To stay informed of upcoming inCube Arts programs, and receive information about events and art talks, as well as other exciting news, please enter your name and email address below, and click 'submit'. Any information you supply will be held on a secure database for our use only. We will never pass your details on to anyone else. 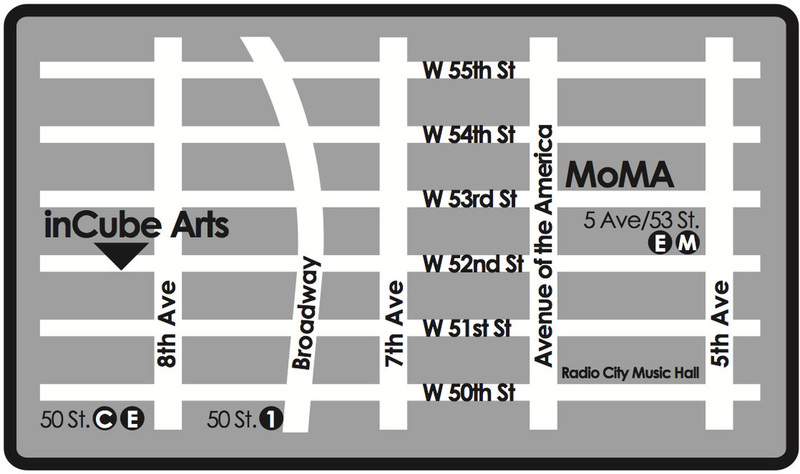 We are closing and relocating from our 52nd St. space in January 2017. Please stay tuned while we are looking for a new space.